With companies such as Sobha and the entry of established industrial houses of the likes of TATA, Mahindra, Godrej, L&T, Shapoorji Palonji etc. in this sector, the primary real estate market is getting more organized and matured. It is going by rules, getting all clearances in place, offering good quality products at the most reasonable price points and on time delivery. The recent demonetisation step taken by the government is one of the most bold and sudden steps that is bound to impact every Indian and every sector of the economy. This cathartic step is targeted at cleansing our system from deep rooted corruption and the maladies of a parallel economy, run primarily on unaccounted cash. While the majority of the people have welcomed this bold step by the government, there are few opposition parties, ‘WhatsApp’ economist and a small section of the media, who have been opposing it. It seems there is no clarity whether they are opposing demonetisation per se or the way it is being implemented. However, in hindsight it is felt that the demonetisation exercise could have been executed better. Despite this, it is clear that no one should have any doubt about the intention of the government. It is indeed a historic step which will have huge positive impact on the socio-economic milieu of the country which has been afflicted with corruption. We all know that Indian economy had been running on “cash”. With the announcement of demonetisation, the government has sucked up lakhs of crores of old currency notes of Rs 500 and Rs 1000 from the country and is still counting. It has left many as confused, helpless and in difficult situation to run their day to day transactions courtesy long lines at the ATMs and banks. This is however a temporary pain which is imminent with the ‘change’ that is in the offing - unleashed at the national level. In a 2015 study by Transparency International on corruption perception, India ranked 76th out of the 168 nations. This is certainly not a very favorable position for a country which is one of the fastest growing economies in the world. Corruption as you know gnaws at the vitals of an economy. How do you rein it in to help a country of our size to grow well? This was the moot question that the country was staring at the end and everyone cried hoarse on how corrupt we are and how important it is to stop corruption. But now that some beginning has been made, we notice that there is resistance against this ‘’change’’. On deeper analysis, we understand that this step will help us to move towards cashless economy which will improve our current tax base and also bring down interest coats of the borrowers. This in turn will help each and every sector to grow at a much faster clip as both consumption and investment cycle starts to pick up. According to the recent World Bank report, where economies are ranked on their ease of doing business, from 1 - 190, India stands at an abysmal 185th rank amongst 190 economies in dealing with construction permits - which impacts realty sector the most. We are certain that some of the key steps taken recently by the government towards structural reforms will help reduce complexity and raise India’s ranking globally. Recently, there have been many stories claiming that the realty sector will be adversely affected as they will have to cut down their price. This is not true. Important thing is to understand is that real estate today is managed professionally and funded by FIIs and banks, with much better transparency. With companies such as Sobha and the entry of established industrial houses of the likes of TATA, Mahindra, Godrej, L&T, Shapoorji Palonji etc. in this sector, the primary real estate market is getting more organized and mature. It is going by rules, getting all clearances in place, offering good quality products at the most reasonable price points and on time delivery. To do all these, it takes not only good intentions but huge efforts and resources. In such a scenario which is already enveloped with slow economic growth, high inputs costs (lands, material, labour), plethora of taxes, how will a developer cut costs? Primary developers are working at thin margins running into single digits. Existing prices are most reasonable and sensible at this time and cannot come down further till the time government takes corrective steps to address high input costs. The government on its part must ensure that approval process is fast enough and take all possible measures to encourage home buying. One such measure could to be to substantially reduce the tax rate - one of the key factors contributing to elevated house price. The government should also introduce land title insurance scheme to a developer. These changes and economic reforms will fast pace the economic growth, creating more demand as well as fresh supply of new homes. Hence there was never a better time for the home buyers to buy their homes when prices have remained stable in the last couple of years. Hopefully, in the next six months’ time both RERA and GST will become the law. This will have huge structural transition and will ensure better compliance, high revenue, more transparency, giving competitive advantage to organized players with strong execution capabilities and sound cost control. The changes, which Government has brought in recent times, will ensure that non-serious players either transition themselves to remain relevant or lose out by NOT embracing such changes. This is a period of reform for the Indian economy which is slowly moving towards maturity backed by cashless transactions. In the long run, this is a significant positive step that will cleanse our system. It is like taking the entire country for a holy dip in the Ganges to get rid of corruption. There will be behavioral changes in the society, people will slowly gravitate towards increased use of credit/debit cards, electronic transfers and mobile payment platforms. Overall, it will help improve our country’s image and consumer sentiment. 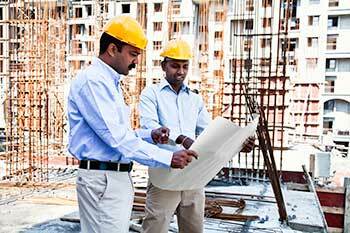 Realty market is poised for tremendous growth with the given clean up. Time is now ripe to make that crucial decision to buy a home and have the first mover advantage. The Author, JC Sharma is VC and MD, Sobha Limited.